Effective January 1, 2019, the Illinois Wage Payment and Collection Act has been amended to require employers to reimburse expenses incurred by employees in connection with their employment. These expenses include reasonable expenditures or losses required in the discharge of an employee’s duties which primarily benefit the employer. Losses due to normal wear and tear, theft, or negligence are not included. The amendment requires employees to submit expenditures with supporting documentation, such as a receipt, within 30 calendar days of the expense. An employer may provide extra time pursuant to an expense reimbursement policy. If supporting documentation is lost or nonexistent, the employee must submit a signed statement to that effect. Should an employer violate this law, relief under the Illinois Wage Payment and Collection Act is available to employees. Importantly, if an employer has an established written expense reimbursement policy, that policy can govern and an employee is not entitled to reimbursement if he or she fails to comply with the company policy. If you do not already have such a policy, you will want to adopt one. 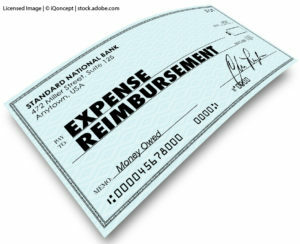 If you have an expense reimbursement policy, you will want to review it to ensure that it provides for sufficient reimbursement, includes dollar limits, requires documentation, and is reasonably enforceable. You may want to include a list of expenses that are generally reimbursable, the amount or proportion of the expense eligible for reimbursement, and the pre-approval process for expenses not listed and/or above a certain dollar amount. In addition to impacting company policy, this amendment may have unexpected financial consequences. For example, employers may be required to reimburse employees for use of their personal cell phones, data plans, laptops, etc., if the employee is required to obtain or use the device for work purposes. The reimbursement analysis hinges on whether the expense is reasonable and required in the discharge of employment, i.e. “necessary.” Employers should be prepared for an increase in expense reimbursement requests and should be prepared to defend positions taken as to what constitutes a necessary expense. Please contact us with any questions. Maryjo Pirages is an associate attorney of the firm and a member of the Employment & Labor Law, Trusts & Estates, and Corporate & Business Groups. Maryjo counsels and represents employers in a range of employment matters, including statutory and administrative regulations compliance, contracts, and employee handbooks and policies. Maryjo’s goal is to work hand-in-hand with employers so that they may proactively implement and stay up-to-date with their policies in order to limit their liability and exposure. 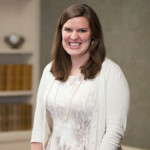 Additionally, she assists individuals and families in their estate planning and administration.